You won’t like him when he’s angry. . .
Never mind, angry hedgehogs are adorable. Tell me he gets annoyed when they call it garlic aioli! He refers those incidents to the Department of Redundancy Department. 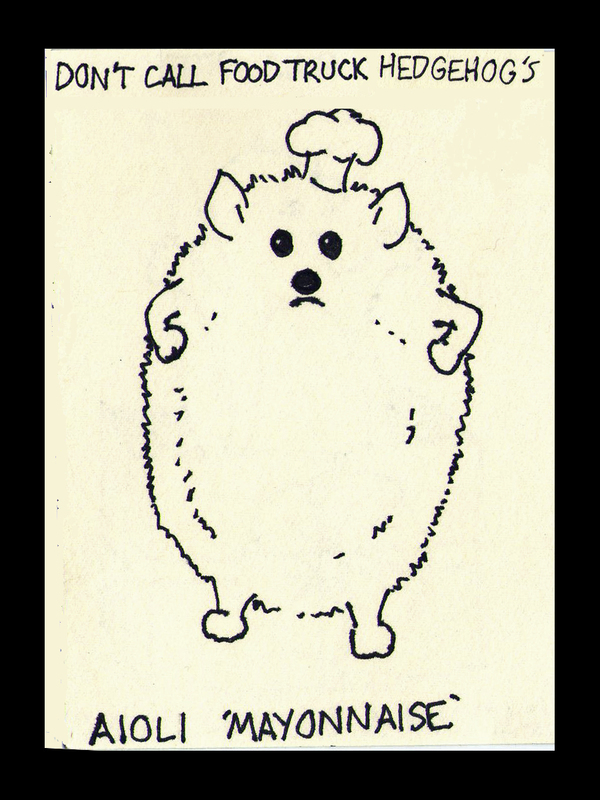 This entry was posted on December 3, 2013 by naralesser and tagged cookery, food truck hedgehog, hedgehogs, hipsters, non-owl.